Woody Allen is back in his second outing with current muse Emma Stone after last year’s muddled Magic In The Moonlight. This time around he has brought his ingénue into the present day and into another romantic entanglement with an older man. Gone is the frothiness and light comedic touch of Moonlight in favour of a darker more serious tone and the film is all the more interesting for it. In yet another fine performance, Joaquin Phoenix plays Abe Lucas, a newly transferred philosophy professor whose deep depression with the banality of daily life is a source of fascination and attraction for two very different women, his student Jill (Stone) and his fellow faculty member Rita (Parker Posey). When a chance encounter leads Abe to find a purpose for his life, it takes him down a dark moral path and the question of murder. The moral quandary at the heart of the film is in itself a fascinating idea to explore and elicits a star turn from Phoenix whose intense presence, last seen to great effect in Inherent Vice, brings the film home. Stone unfortunately doesn’t fare as well and her character, self-described as a “middle class drone” is underwritten and more than a little dull. Her boyfriend Roy (Jamie Blackley) is more insufferable still such is his patience with his girlfriend’s very obvious infatuation with Abe as she never stops talking about him. All of the best lines seem to have gone to Posey’s character and she is terrific as the heavy drinking needy soul looking for a romantic fling that will change her life. The film’s central storyline, weighted in deep existential questions is circled by the relationship between Stone and Phoenix and you have to wonder what another more visceral director would have made of the meaty life-and-death subject matter. Allen, in his preoccupation with Stone, rests the camera all too often on her face (and frequently bare legs) but doesn’t really convince us that Abe and Jill are a good match (Magic In The Moonlight had similar problems). 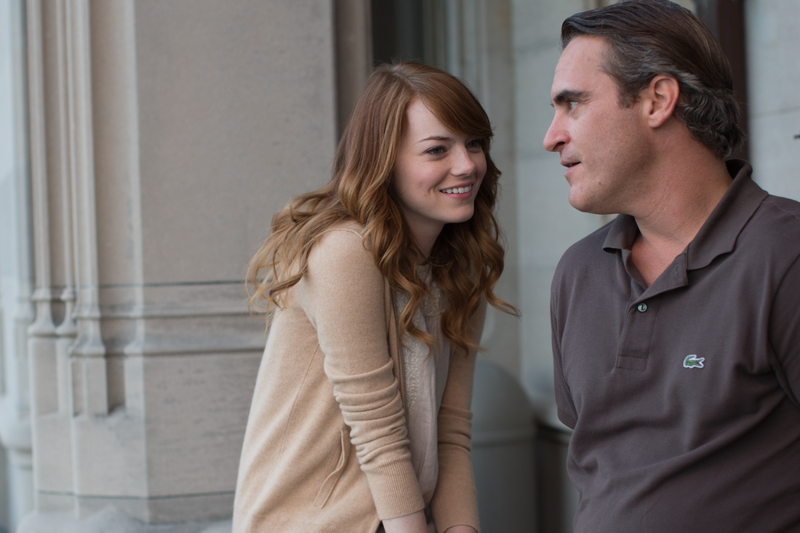 Irrational Man is a thought provoking movie with strong performances, taking turns down dark corners you don’t expect. As Jill says of Abe early on “you either love him or you hate him”, and similar to Woody Allen, I’m not entirely sure this one will convince you otherwise depending on your stance, but it’s an insightful diversion that perhaps plots the perfect murder, if sadly not quite the perfect film.